Sale of scrap materials through E-Auction Crossed 1000 Crores! Error Code : ADM.002 while login on IREPS. 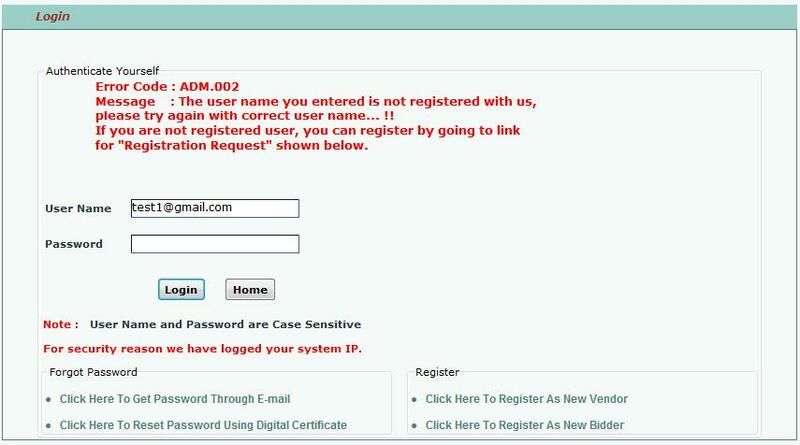 Message : The user name you entered is not registered with us, please try again with correct user name... !! If you are not registered user, you can register by going to link for "Registration Request" shown below. Error Code: ADM.002 means the user name from which you are trying to login is not registered with the www.ireps.gov.in, please recheck the user name and try again. If you are not a registered user of www.ireps.gov.in then you can use the below links to submit your registration request. 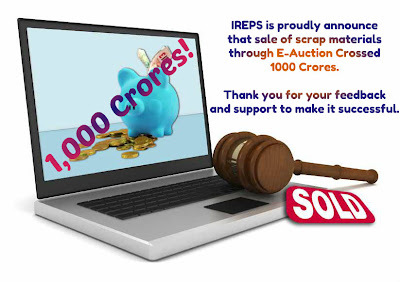 Error Code : ADM.001 while login on IREPS. Message : The password you entered is incorrect...!! 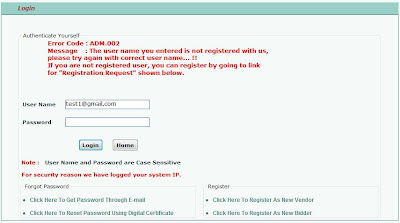 If you are getting the above Error Code: ADM.001 while login on ireps website then it means you have entered the wrong password. Please enter the correct password to login successfully. If you forgot the password then use the 'Forgot Password' options to get the new password through email or reset the password using your Digital Signature Certificate. IREPS provide the two options to you if you forgot the login password.